Around the world Jewish Young Adults go through a rite of passage sometime around their 8th birthday: drinking their first sip of Manischewitz wine. This sweetened Kosher alcoholic substitute for real wine is a mainstay at Passover Seders worldwide, but in recent yeas “The Mani” has made a resurgence in JYA communities and has been exploited beyond Halachic holidays. For Example, JYA’s have also been known to whip out The Mani at every possible occasion for the sheer fact that it makes dealing with family functions filled with Jewish Adults and Jewish Elders that much more tolerable. In addition, certain fraternities have been known to mix The Mani into their punch at parties because the deceptively sweet taste masks the alcoholic content, subsequently causing inebriation in the partygoers and purportedly increasing the chances of “getting some”. Finally, some JYAs have taken Manischewitz wine to the farthest extreme of hipster cool-dome, becoming veritable connoisseurs of the beverage and concocting their own special drinks(*). Whatever the reason, JYAs have taken Manishewitz to new unprecedented levels that their forefathers and foremothers have never seen. If this trend continues, Non-Jew observers might find themselves ordering a Drunken Pharaoh the next time they go out. 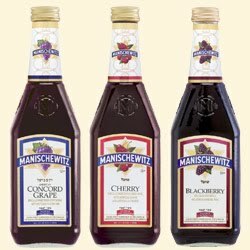 (*) Special Manischewitz cocktails to try with your friends, or create your own! 1.5 oz Manischewitz (any flavor), 1 oz Vodka, .5 oz Cointreau. Served over ice in highball, with a lemon. I think the Jewish obsession with Mani is vastly overstated. It’s really just something that plays into Jewish jokes and the lore of the Manischewitz-drinking-Jew but it doesn’t actually sit on peoples’ dinner tables. When was the last time you went to a Shabbat dinner or a Jewish person’s house (under 60) where Manischewitz was actually served? It’s just easy to make fun of which is why we still talk about it. I definitely prefer their macaroons to their wine.